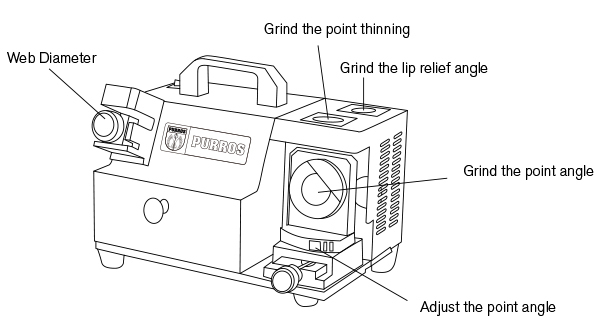 The technology behind the drill bit grinder - Purros Machinery Co.,Ltd. Drill bit grinders have a diamond grinding wheel that can be equipped directly with an accurate angle. Diamond is said to be the hardest known material in the world and therefore the grinding wheel being made of diamond means that a drill bit grinder can bore through any material in the world with ease. The diamond grinding wheel as well means that a drill bit grinder can last for very long periods. Scientists say that the life of a diamond can run until perpetuity. If diamond degrades however, then it degrades into graphite. Drill bit grinders are electrically controlled and have a powerful DC motor. It uses a voltage of 220V and a frequency of 50HZ. It has a stable frequency and a strong horsepower. A horsepower is a unit that is used to measure the power of an engine or a motor. The good thing about an electrically controlled drill bit grinder is that it stays for a long duration of time. The strong horsepower that is also a functionality of the drill bit grinder gives it more life because it can be used to measure the power of the motor and therefore can be regulated. The drill bit grinder machine is set up with the function of adjusting a central point size which can effectively coordinate with the material of the drill hole and rotation speed. What this means is that accuracy and precision can be met and therefore the interests of the person operating the drill bit grinder machine can be met. 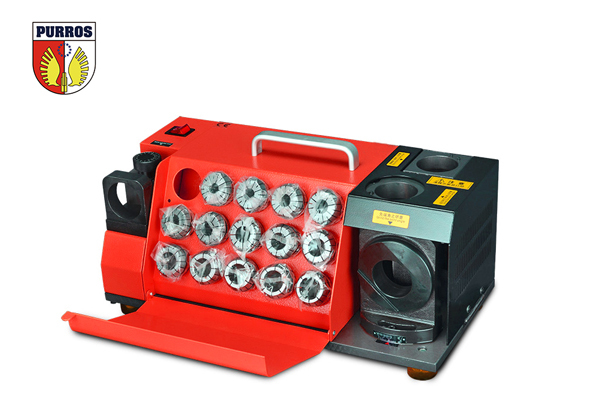 The drill bit grinder can control the quality precision. These basically means that the accuracy of this machine is as high as you can get. This functionality that is adjustable to the interests of the drill bit grinder can prolong the life of the drill bit. The motor speed of a drill bit grinder is 180W/4800rpm. The weight of an average drill bit grinder is 10kg. That 10kg weight makes a drill bit grinder portable and thus the machine can be easily moved from one place to another. That means that it can also be handle to handle a load of work since it is easily portable. A drill bit grinder is as well economical in price because it had no other costs. There are no hidden costs associated with the drill bit grinder and thus the purchase value covers most of the costs. Afterwards, there are not as many costs associated with it. The technology behind the drill bit grinder is not as complicated because the person using the machine does not have to have specialized training or skill. He or she just need to learn how to use the machine and then that is just about it. Posted in Technology and tagged drill bit, drill bit grinder, drill bit grinder cost, drill bit grinder focal point, drill bit grinder material used, drill bit grinder portable, drill bit grinder power, drill bit grinder precision, drill bit grinder technology, drill bit grinding machine, Drill Bit Grinding Machine Manufacturers, Drill Re-sharpener, twist drill bits.